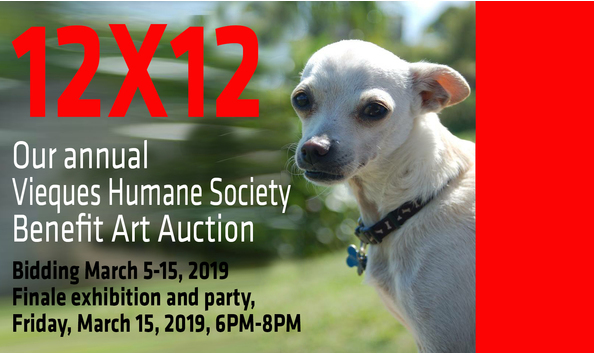 For many of us who live, work or visit Vieques, endeavoring to improve the plight of the islands unwanted and uncared for animals has become one of our most passionate causes - and for those of us here at the gallery, art is another passion. As Vieques continues to recover from the devastating effects of hurricanes Irma and Maria your generosity is needed more than ever. Once again asked our friends, neighbors, students, and fellow artists of all kinds to contribute original 12" X 12" artworks for auction. VHSAR, to create a unique community event and to offer artists a showcase.